For over 40 years we have been helping patients with a range of eye conditions. Our approach has always been to serve patients by providing a high quality treatment. We pride ourselves on going above and beyond the average practice. All our staff here, whether that is one of the optometrists or the receptionists, focus on providing long-term support to patients. We believe in an active relationship between patients and the practice as it allows us to better understand and help patients. We are frequently updating our machinery to best serve our patients. Recently we purchased a £50,000 piece of equipment called an OCTR, which helps tremendously in identifying diseases early before they become unmanageable. Only a few practices across the country have this piece of equipment. We also increasingly have been focusing on neglected areas in optometry such as low vision aids and children services that have been benefiting our patients greatly. There are just a few reasons why our practice has lasted so long as patients can really sense the quality of care and treatment. 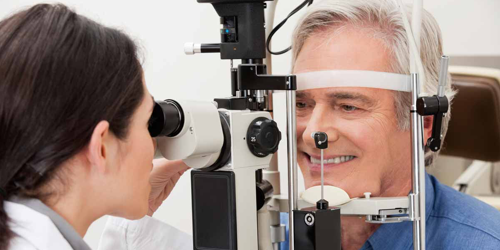 A routine eye examination will ensure that your sight is functioning to its optimum level. In our daily lives, we often adapt and ignore the early symptoms of pain and discomfort that our bodies alert us on. It could be an occasional headache, tired eyes at the end of the day, occasional blurring or even other health problems. How often do we put our symptoms down to stress and a busy lifestyle? We can often choose to ignore our eyes until the disturbances are great enough to deeply affect our lives. Regular monitoring of your eyes will provide you with the peace and reassurance that your eyes are functioning as they should. Our optometrists will provide you with advice on your lifestyle and how to maintain this precious gift of sight. 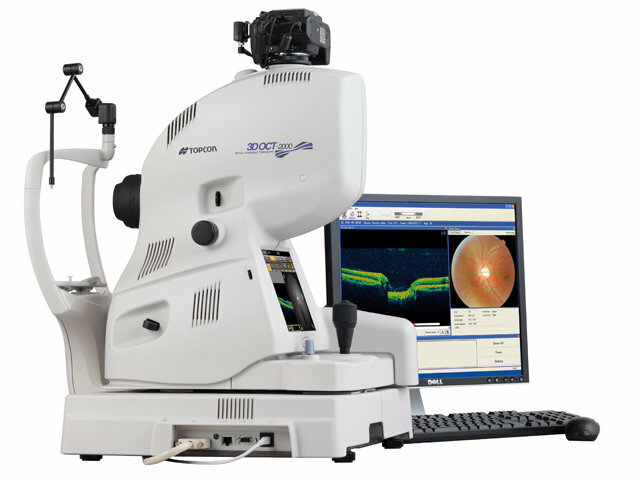 We use the latest specialist equipment in measuring and assessing the health of your eyes. Scans captured using the OCT provide invaluable information for both the early detection, and diagnosis of various eye conditions that may have otherwise been missed until a later stage in the disease process. Images can be acquired within a few seconds, in a simple and comfortable manner, with the patient experiencing light flashes during the measurement. Only a few practices in the country have this piece of specialist equipment. 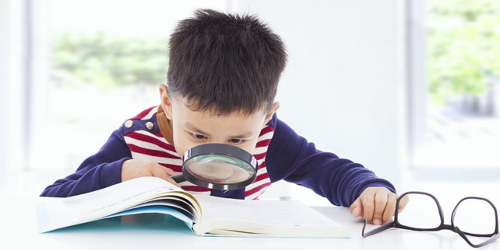 Current research shows that approximately 20% of school age children have undetected visual problems that are hindering their school performance. 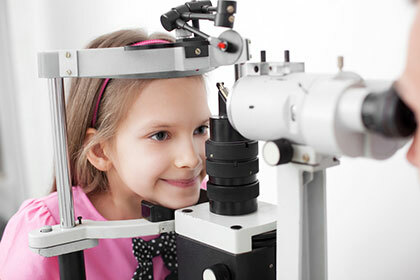 Children’s eyes continue to develop up to the age of 8 years. Therefore, it is imperative that visual disorders are detected and treated as early as possible. How confident are you that your child can see? Children have a remarkable ability to adapt well to different conditions. This means that a child rarely complains about their vision, even when it falls well outside the normal limits! In fact, most parents address concerns following reports from teachers of problems at school, or on observing unusual behaviour such as eye ‘squinting’. In particular, visual problems affecting one eye alone are only detected when a child attends for an eye examination, or is referred by the school following failure of a basic vision screening assessment. We recommend that every child has an eye examination by the age of 3 years especially where there is a family history of an eye problem or if the parent suspects a problem. Low vision means that even with regular glasses, contact lenses, medicine, or surgery, some people find everyday tasks difficult to do. Reading the mail, shopping, cooking, watching TV and writing can seem challenging. Normal changes in our eyes and vision occur as we get older. However, these changes usually don’t lead to low vision. Most people develop low vision because of eye diseases and health conditions like macular degeneration, cataract, glaucoma, and diabetes. A few people develop vision loss after eye injuries or from birth defects. While vision that is lost usually cannot be restored, many people can make the most of the vision they have. We offer a specialised low vision service that may help you to continue your current lifestyle, using the latest developments in visual aids and lighting. The assessment involves a careful check of your level of vision, along with a full discussion of our visual requirements. You will then be recommended magnifiers and other devices that can help you make the best use of your vision. Approximately 20% of the population suffer discomfort when looking at a page of words. This condition is known as Meares-Irlen syndrome or Visual Stress. Our mission is to provide a spectrum of products to help those with visual stress. Our products have been developed by a leading expert in the field and are backed by years of research and experience. It is always a good idea to rule out other vision problems by having an eye examination. If you still experience the symptoms, try our overlay colour test to see if you might benefit from using an overlay. In many cases the discomfort can be reduced by changing the background to a certain colour. This can be achieved by placing a sheet of coloured plastic over the page (overlay) or by wearing coloured glasses.